What is a Time Capsule? A time capsule is a way for us to deliver important messages that we create today to our loved ones at some time in the future. We can put items that are meaningful to us as a group and as individuals. The time capsule will be opened by our designated heirs. We are giving our heirs a sense of who we are today and what life was like for us in 2012. 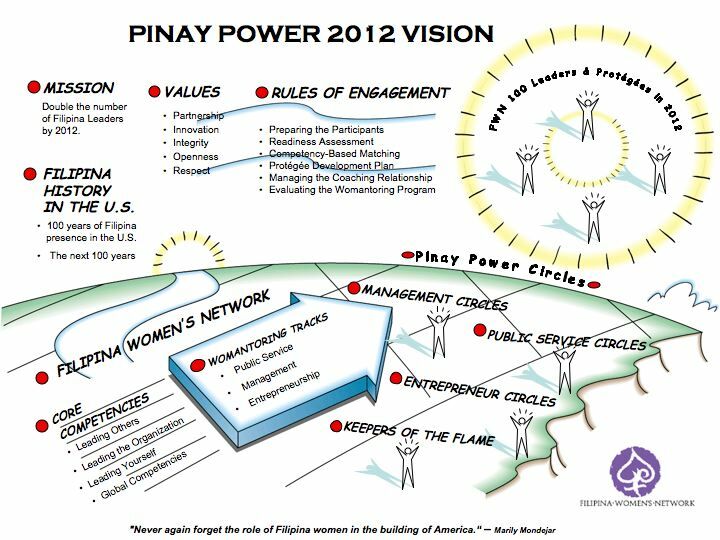 The FWN Time Capsule will be sealed at the Pinay Power 2012 Reunion on September 1, 2012 at the 9th Filipina Leadership Summit in San Francisco. The Steering Committee will decide what items will go into the Time Capsule that will reflect who we are and what life is like for us today (2012). Hopefully the items will provide our designated heirs an accurate picture of the accomplishments of awesome Filipina women in the United States! The Time Capsule will be deposited at an agreed upon location and will be opened by our designated heirs at the Bi-centennial celebration of Filipino migration to the United States in 2106. MORE ABOUT PINAY POWER 2012 CAN BE FOUND HERE.